With Raspberry PI, a very great microPC platform that started a trend of its own with two million RasberyPIs sold, a new market has emerged calling for microPC segment companies to compete. 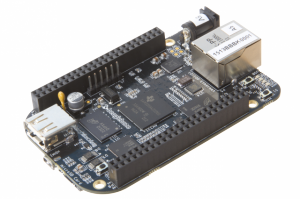 One of such alternative companies is BeagleBone and their very nice product is BeagleBone Black. So in this article, I would like to present the BeagleBone Black with some quick view on its abilities and because one BeagleBone Black has arrived to me a while ago, I can compare it with my older Raspberries. And most importantly, why the performance was so good that this web has moved to BeagleBone Black and abandoned Raspberries (while old Raspberries are now only as cold backup). If you remember from my previous blogposts, RasberryPI is a platform on which actually this webserver is running during writing of this article (and you can read about building web server load-balanced on two RasberryPIs on in my previous tutorial articles). So I really found myself a useful work for my RaspberryPIs and I am from that point very interested in similar development in the mikroPC market. 2x PRU for real-time tasks in parallel to the main CPU! Now, lets move to my practical experience from the one that arrived to me this week. I also ordered a transparent case from ebay and I must say it looks very nice running. Or at least similar to the Raspberries PI in its transparent case that I have laying around ever since Networkgeekstuff.com running on Rasbperry PI. So as you can calculate, BeagleBone gives you twice the cpu power. Practical test in regenerating networkgeekstuff.com cache. Background: As you might remember, Raspberry PI is not powerful enough for running complex PHP interpreted web systems like wordpress (that I am using here) and I relied on creating static cache of HTML pages to serve this web with any real speed. And also the same can be said for BeagleBone Black because if Raspberry performance was “very terrible” then BeagleBone Black is only “terrible”. But at least it makes an interesting test. 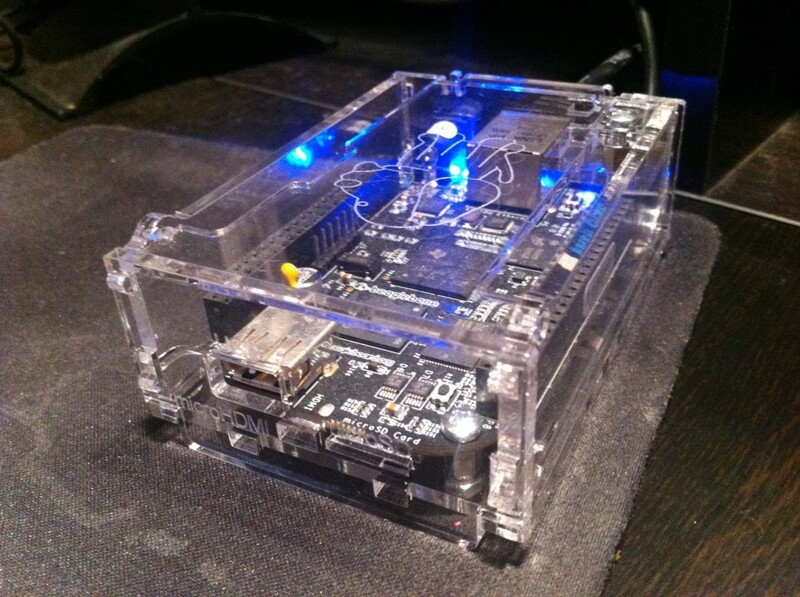 Both Raspberry PI and BeagleBone Black are absolutely great pieces of hardware, but for my use as small web server, BeagleBone simple has much more to offer. With that in mind I am actually happy that the Raspberry PI are now free for other projects that include also graphical view.